There are 12 sites recognized on June 30th, linked to the history of Christian persecutions of the Edo period (1603-1867). Card. Maeda: "The history of hidden Christians is forgiveness and mutual respect". 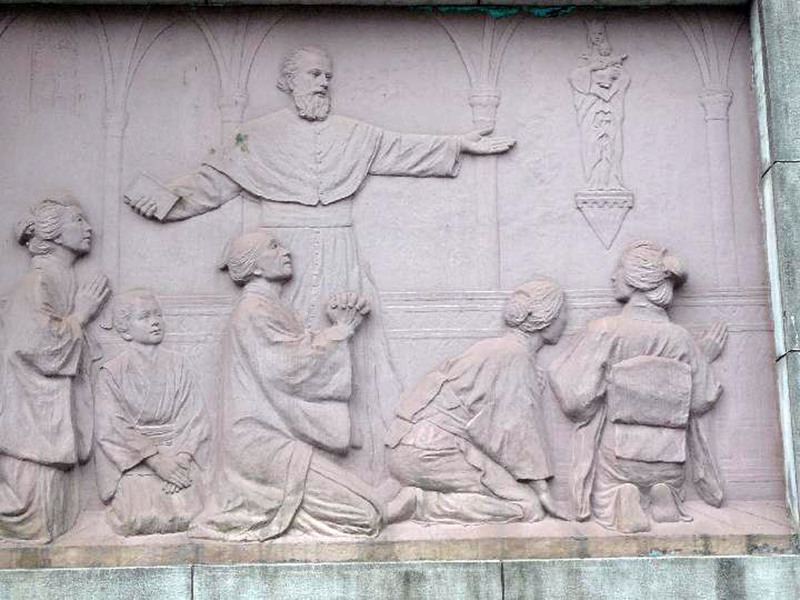 Archbishop of Nagasaki: "Japanese Christianity recognized in its history". Nagasaki (AsiaNews) - The places of "hidden" Christianity in Japan are the heritage of humanity. The UNESCO committee made its decision two days ago including 12 sites in Nagasaki and in the Amakusa region on its World listing. The places are symbols of the persecution perpetrated against Christians during the Edo period (1603-1867). 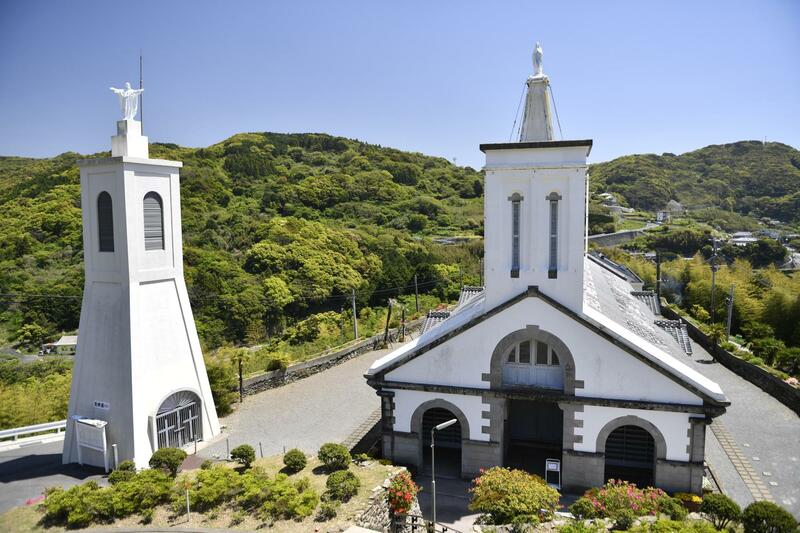 One of the sites recognized as a world heritage is the Oura Cathedral of Nagasaki, the oldest church in the country, already a national treasure. 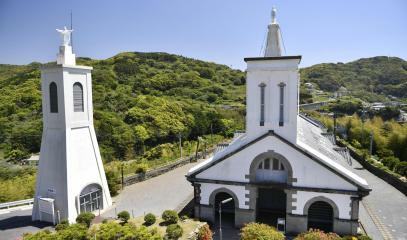 Built by two French missionaries of the Society of Foreign Missions in 1864 to honour the 26 Christian martyrs - 9 European and 16 Japanese - it is famous for an event that Pope Pius IX called a "miracle of the East": after the inauguration, a group of people from the village of Urakami asked Fr. Petitjean - one of the two missionaries who built it - to be able to enter the church to "greet Mary". 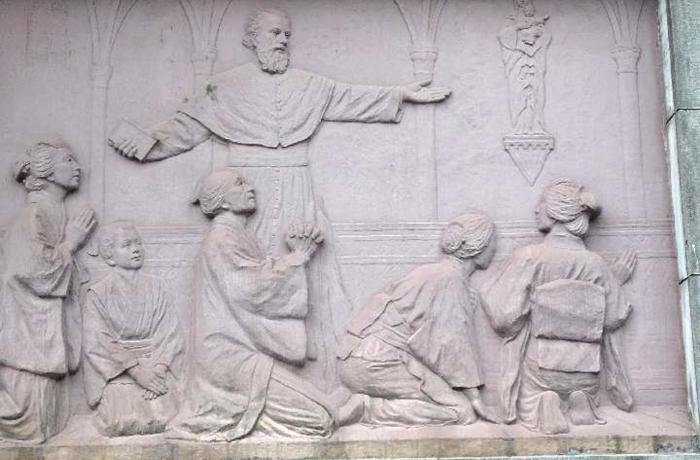 They were "Kakure Kirishitans", descendants of the first Japanese Christians forced into anonymity, and were followed by tens of thousands of underground Christians who came to the cathedral and resumed Christian practice. The remains of the castle of Hara was also included in the UNESCO list. It was one of the scenes of the Catholics revolt "Shimabara-Amakusa" (1637), as a result of which the persecution became harsher - and the village Sakitsu, in the prefecture of Kumamoto (Amakusa), where Christians continued to practice their faith in secret. 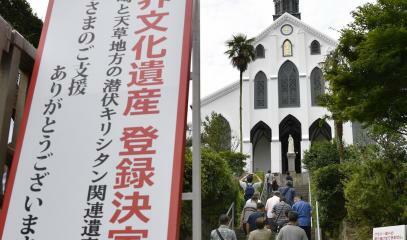 The decision was welcomed with joy by the Japanese Catholic Church. The new Cardinal Thomas Aquino Manyo Maeda - himself a descendant of "hidden" Christians - told the Japan Times that the recognition will allow people to discover the history of Christianity in Japan, "summarized" in forgiveness and understanding: "The registration brings with it something profound and meaningful, in which a true peace for peoples comes when there is respect for each other ". Archbishop of Nagasaki, Msgr Joseph Mitsuaki Takami, expresses the same satisfaction to AsiaNews: "For 250 years, Christianity has been persecuted in Japan. Now, it is recognized in its history, and many more Japanese are beginning to take an interest in Christianity. Many will come to these places to visit them: for us it is also an opportunity to evangelize ". 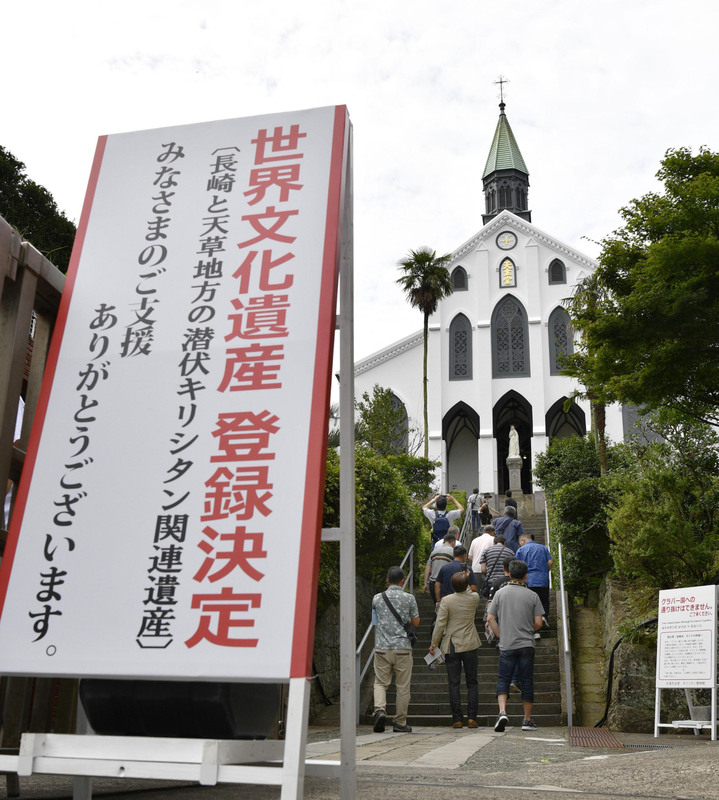 The rediscovery of the Japanese Christian history must also involve the faithful themselves, called to study "the history of their ancestors": for this, on April 1 the diocese of Nagasaki inaugurated a museum on the history of Japanese Christianity, within the old residence of the bishop. "We need to remember history because it's not the buildings that are important - concludes Msgr. Takami - but the story behind them. It is this history of faith that has universal value ".